Ponstan is a type of pain relief medication taken to help manage mild to moderate pain from a variety of causes. It can be used to treat period pain, muscle and joint pain, and dental pain. You can buy Ponstan from Doctor-4-U to help manage pain caused by arthritis. Living with arthritic pain can be seriously damaging to your quality of life. It can make day to day tasks very difficult, limit your movements and by extension, affect your happiness and morale. Ponstan capsules relieve the pain that arthritis causes, allowing you to lead a full life. 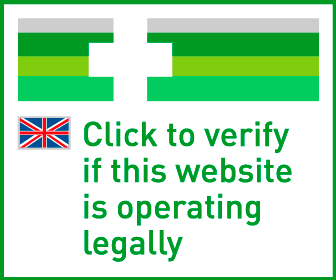 If you need to take Ponstan, you can buy them online safely from a UK doctor such as Doctor-4-U by completing our simple medical questionnaire and getting a certified prescription. It will be dispatched within 24 hours. Ponstan is a type of pain relief medication designed to help manage mild to moderate arthritic pain and inflammation. The active ingredient in Ponstan works to block the feeling of pain, but doesn’t work on the cause of the pain. In this case, it means that you won’t feel so much pain from arthritis, but it won’t do anything to cure the condition itself. You need a prescription from a GMC/EU certified doctor in order to buy this medication online. To buy Ponstan from Doctor-4-U, simply complete our online consultation and if you are deemed suitable, we will dispatch your medication usually within 24 hours. If you are not deemed suitable for Ponstan, you will receive a full refund. Do you need a prescription for Ponstan? Yes, you need a prescription from a GMC/EU certified doctor in order to buy Ponstan online. With Doctor-4-U’s easy consultation process, you can get a prescription for Ponstan safely and quickly. Select the item you want to buy, click “Start Consultation” and fill out the short medical questionnaire provided. If you are deemed suitable for your prescription, it will usually be dispatched within 24 hours. If not, you will receive a full refund. 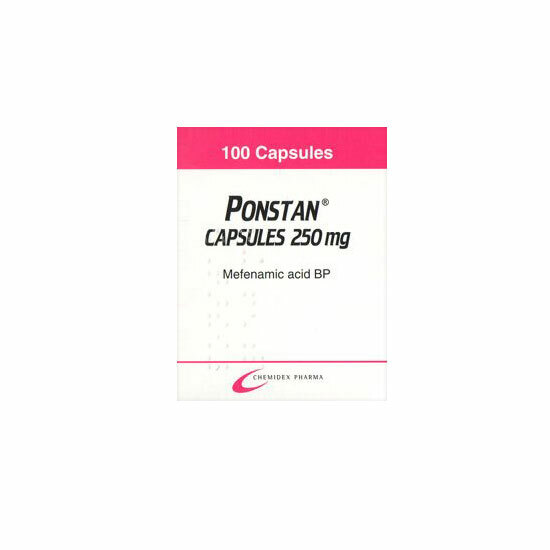 Ponstan contains the active ingredient mefenamic acid, a type of NSAID (non-steroidal anti inflammatory drug). Mefenamic acid relieves pain by blocking the chemical cyclooxygenase (COX), so the brain doesn’t feel pain. Ponstan is able to relieve pain and reduce inflammation, but won’t ease the cause of the discomfort. Is Ponstan suitable for me? Although Ponstan is designed for those suffering from arthritic pain, your medical history and other medications may mean it isn’t right for you. The recommended dose of Ponstan is two capsules (500mg) taken three times a day with meals. The tablets should be swallowed whole with water. Only use this information as a guide, and do not exceed the recommended dosage. Take ONE or TWO capsules 3 times a day.